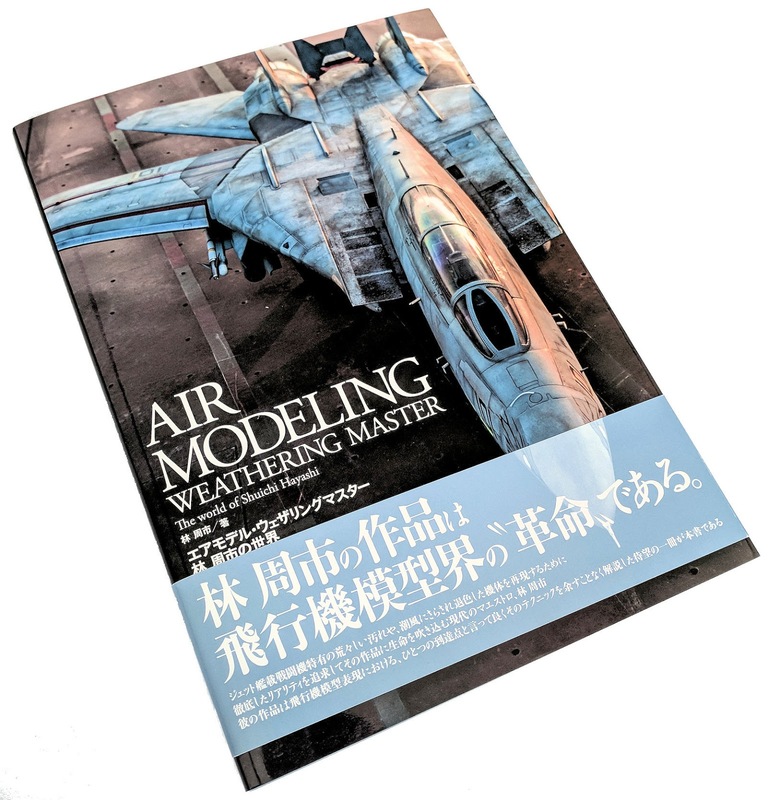 I met the author of this book Mr Shuichi Hayashi, over two years ago at the Shizuoka Hobby Show in 2016. I was in the main hall where all of the clubs demonstrate (not compete - they just show them off to other modellers - isn't that refreshing?) 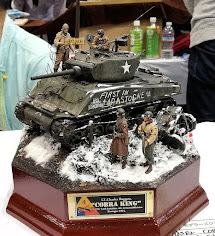 their kits, and I came across some 1/32nd scales that I thought were by far the best at the show, and probably some of the very best I had seen in that scale for a while. After noticing that I was taking a keen interest in his work, Mr Hayashi spoke to me about his kits, and I could see the passion for his subjects and for the super realism of his style of modelling. Ever since then I have followed his work closely on the social media. Disclosure number two, I bought this book so it was not sent to me for free for review, not that it matters anyway, but I thought you should know for full transparency. Two years later and my next visit to the Shizuoka show and Shuichi has a book out showing off just how he achieves his results. Finding out that it is in a dual Japanese and English language format incentivised me to buy one of his books "toot suite". He even autographed it for me at the show when I bought it from the publisher (Model Graphix of Japan) stand. 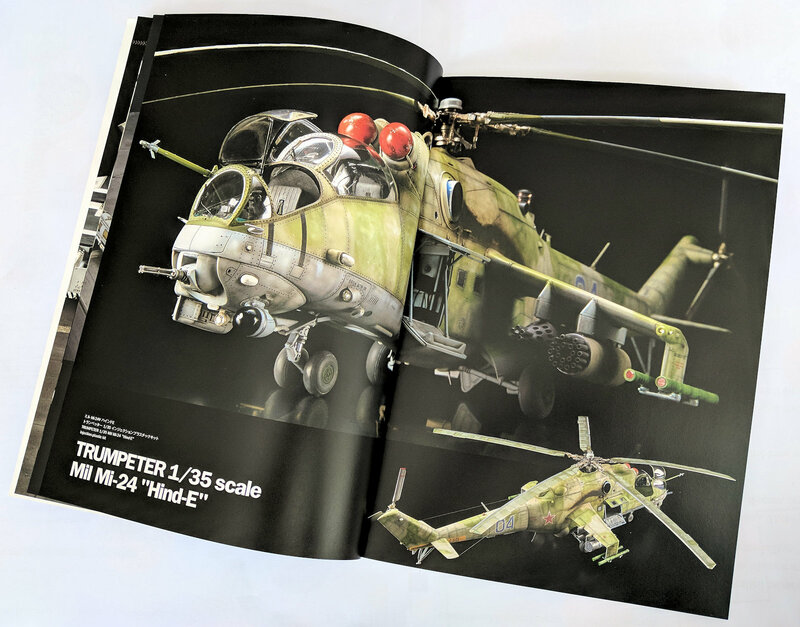 So I know the guy, I like his models - but what about this book? Let's look at it in its physical form, then we will get into what is covered and how effectively (and interestingly?) the message goes across to the reader. 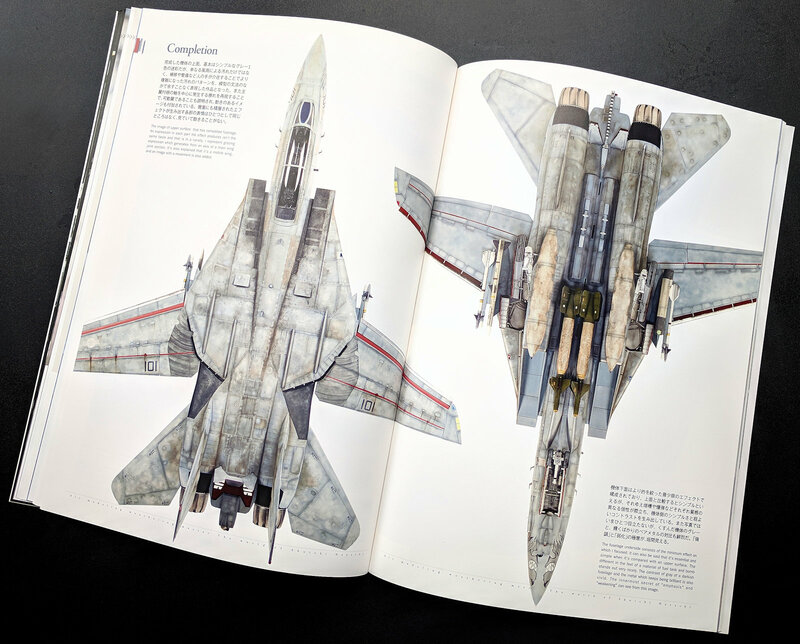 Wrapped up in a glossy softcover binding that acts as a jacket around the book (and the "Obi" of course as is usual in Japan) this book has a soft grey internal cover with plain write writing that is in stark contrast to the picture of the very realistic F-14 on a model carrier deck of the illustrated cover, which to me almost looked like the real thing until I looked closer at it. 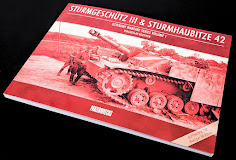 The book's dimensions are 29.7cm x 21cm x 0.8 cm with a weight of 520 grams. The book comes in at one hundred and four pages, with much of that being taken up with some very nice photography work in large format pictures. 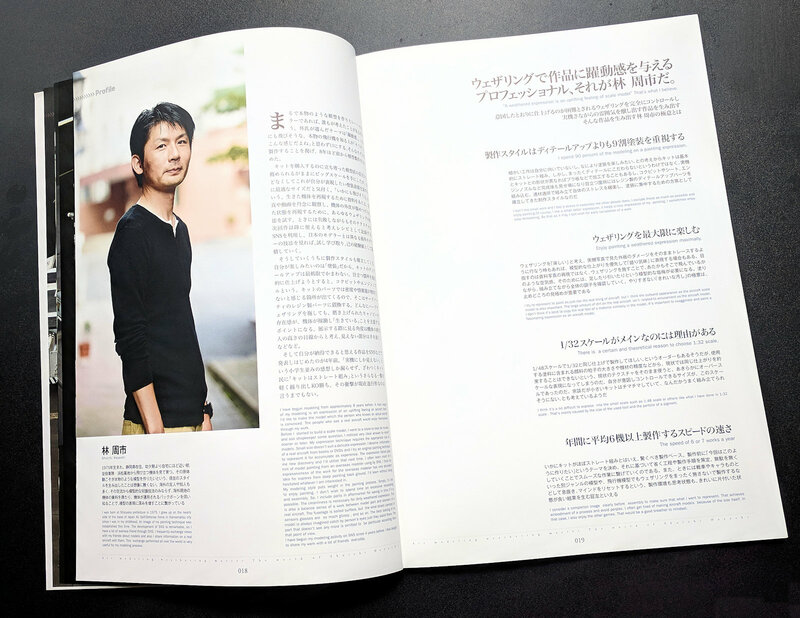 The text to supplement the images in mainly in Japanese but also in English. OK, a word or two on that English text. I to make it very clear to you in that although he speaks pretty good English, this is definitely Shuichi's second language. as the author, he has taken it on as a challenge himself to write the English text in the book. Although the English language is legible, it is very hard to work out what he means in places, so patience, and maybe a little empathy of having in the back of your mind how you might fare if you translated a book into Japanese will help here. Perhaps next time the author might get a proofreader to help him to keep the feeling and evident emotion of his words which are portrayed well, whilst also including the ease of reading in that same text. As a side note - I had a Japanese speaking friend read this book and he said that the words in English are translated here literally word for word from Japanese into the English language, and that would be the reason why they don't always hit the mark as fluid as a native English speaker might have written it. 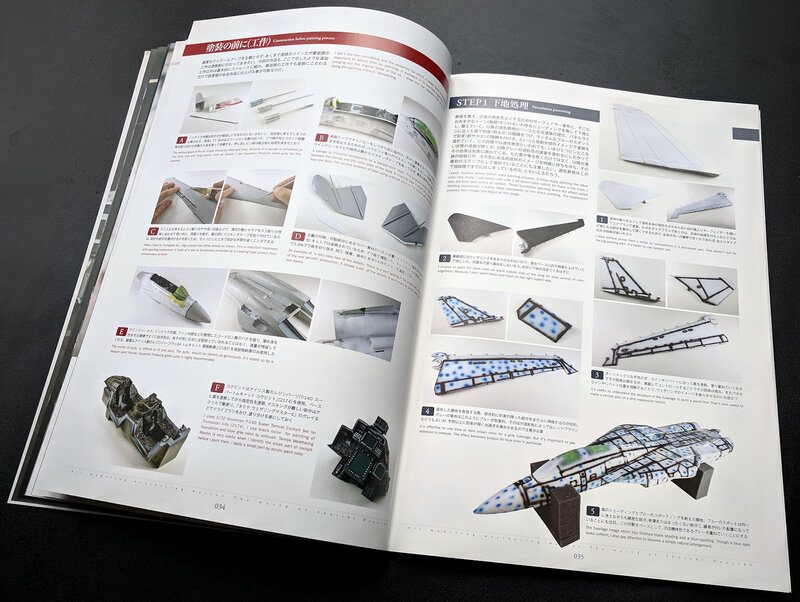 The main part of this book are the models themselves. 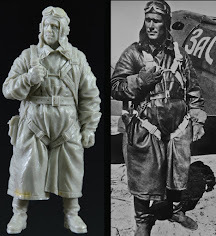 The story of the models in the book is presented in two ways, in a written description and in photographs. 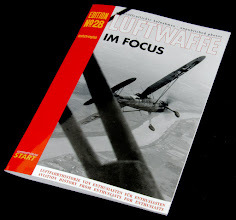 The photography in his book is first-rate in composure, focus and layout of the shots. 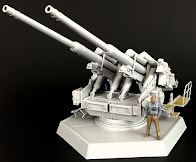 The pictures show off the models in various poses, importantly also from a low angle that reveals the model from the scale of a person "on the deck". 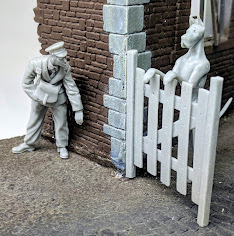 The photos of the smaller details aspects show off the work in minute detail, often showing that the modeller is human, while also giving us something to aspire to. 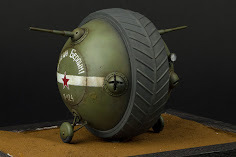 There are some amazing shots of some amazing models in here. 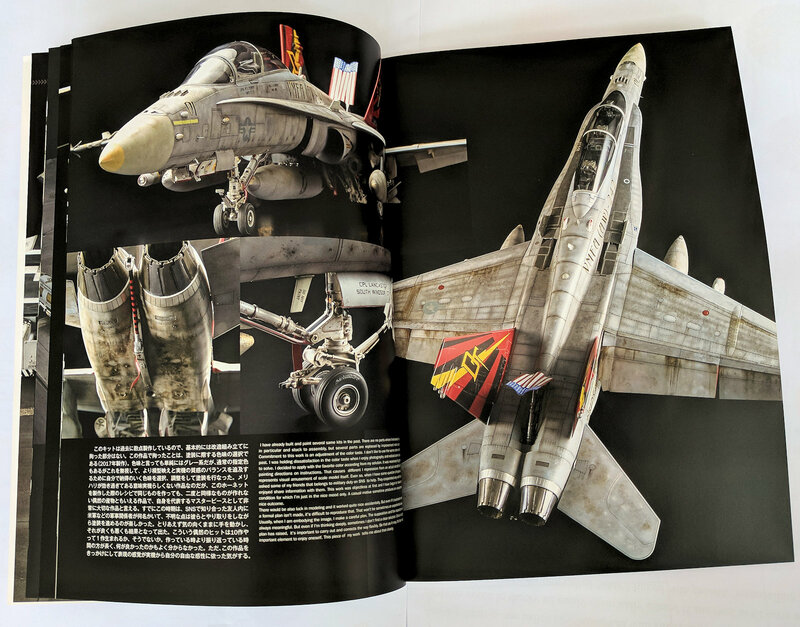 Right out of the blocks we see evidence of some of Shuichi's work and great photographic skills in some overviews of an F-14A Tomcat a Mi 24 "Hind V" & an F-18D Hornet build, each a few pages long just as a "taster". 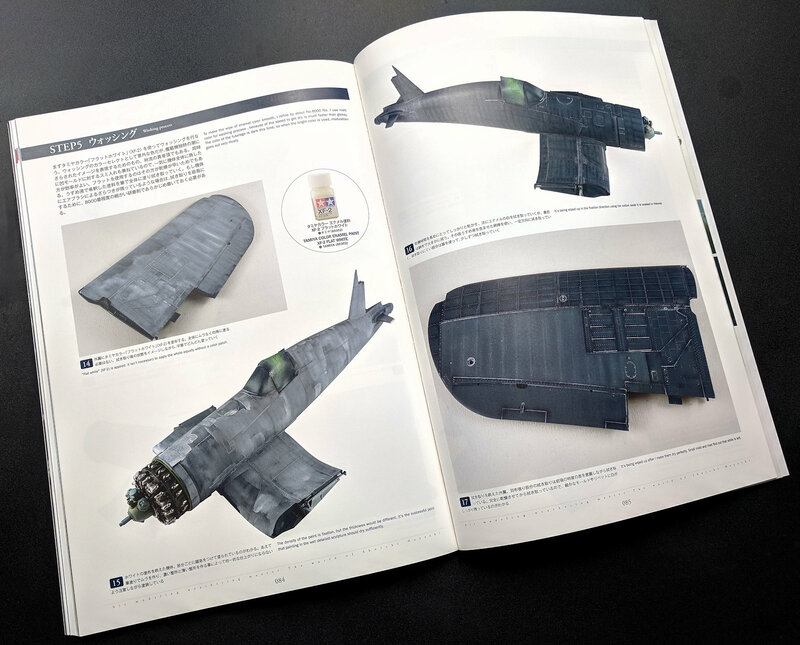 These pages showing off three models of Shuichi's previous works tell a little of each of the kit's construction and the effort of the painting and weathering without getting very deep into each of them. 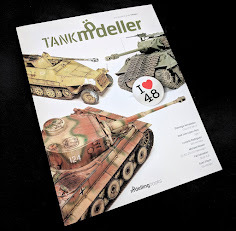 ...And another few pages on the F-18D in 32nd scale before we get into the book "propper". 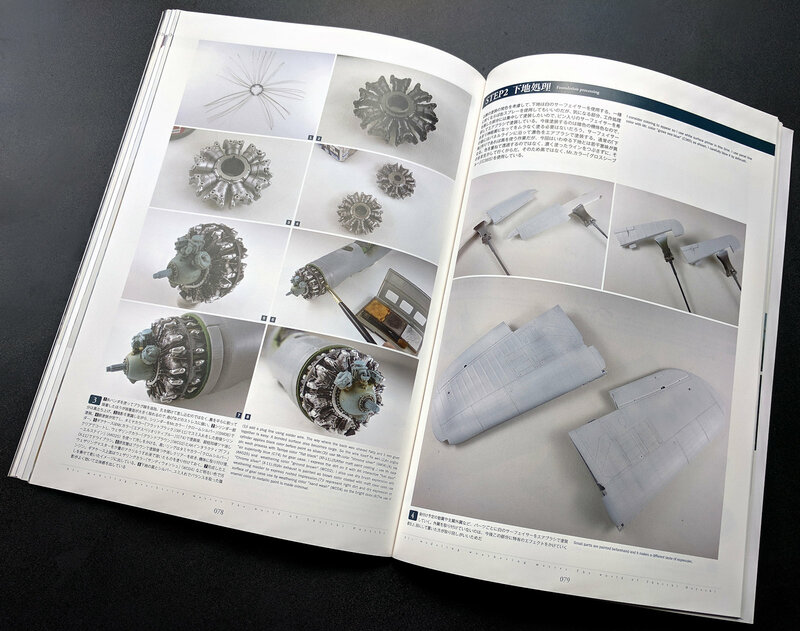 After this appetiser of Shuichi's former works, we get a profile of the man himself, explaining a little of his history, and why he became interested in aircraft, his philosophies of the how and why and in what scale he likes to model and the reasons for this choice. 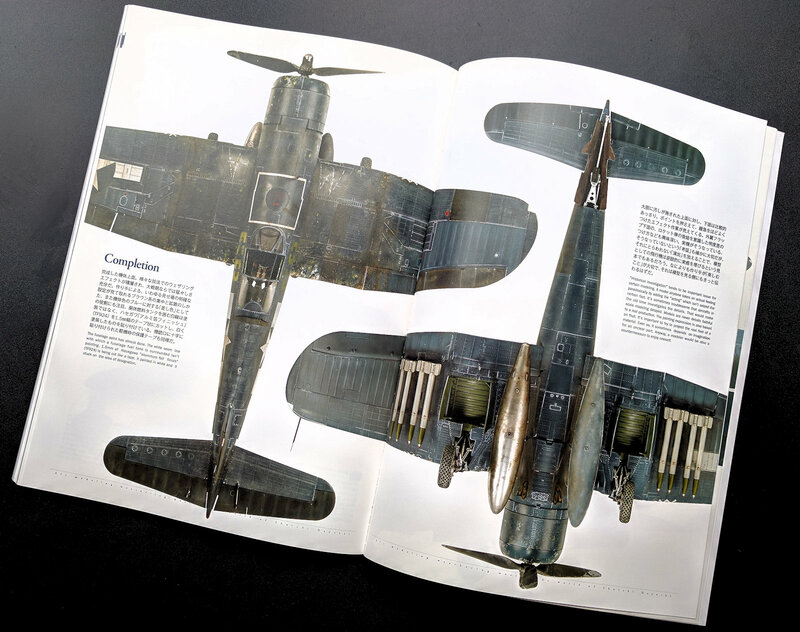 This section opens us up a little to his thoughts and passion for these heavily used, dirty and weathered aircraft. 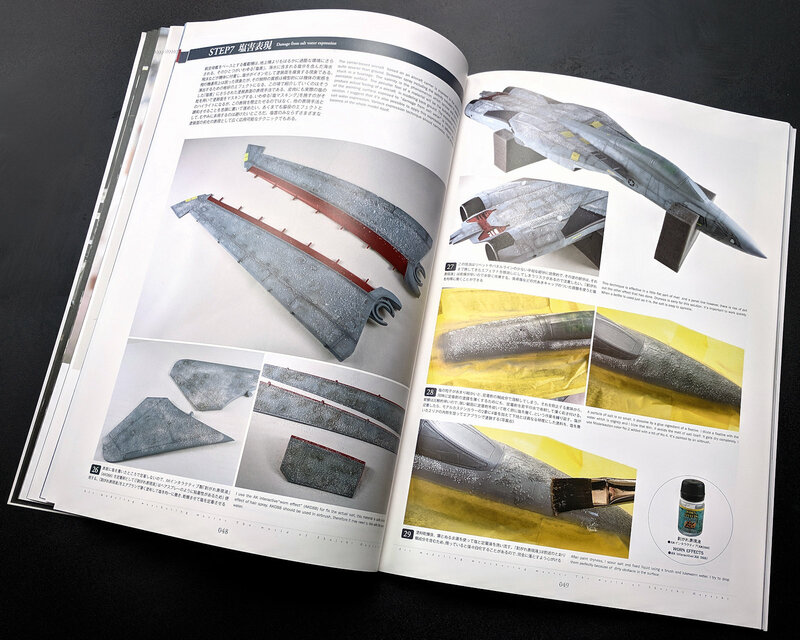 The contents page lets us know that the remainder of the book features tools and paints, the main weathering techniques the author uses, and the features of two models showing off these tools and techniques, a 32nd scale Trumpeter F-14D and Tamiya's F4U-1D Corsair. kits. Lastly a one on one interview with well known Japanese modelling personality Max Watanabe. 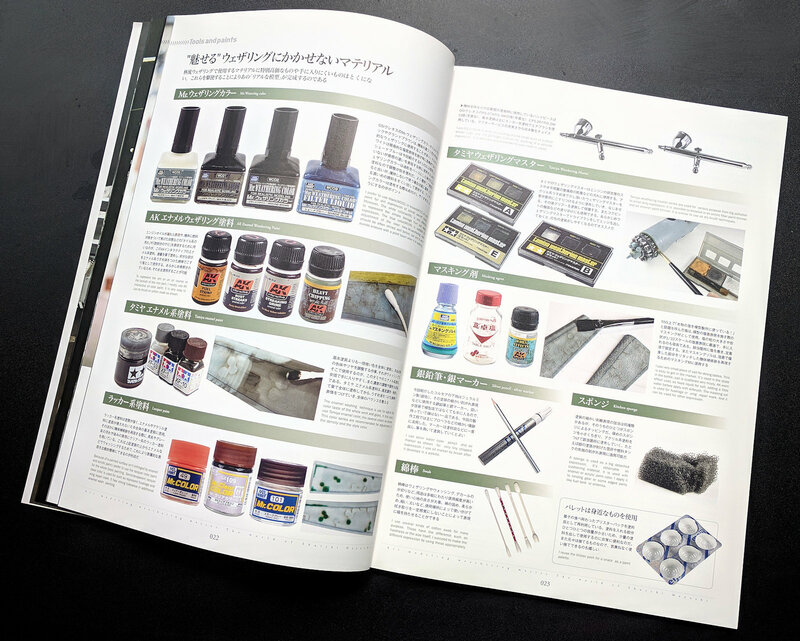 First up, the tools and materials that Shuichi uses are discussed and shown in detail. 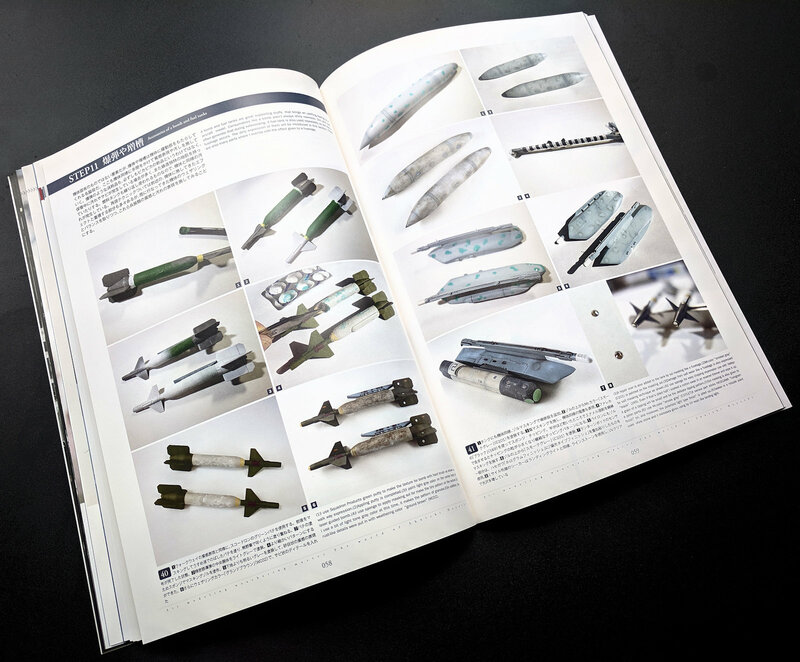 As the book is mainly geared to the painting and weathering of the models of Shuichi, the materials shown here are paints, weathering products and certain painting and weathering tools. A brief description of how he uses each and what for is provided. There is also a double page spread to quickly show the techniques Shuichi uses. It is very short, with only about a paragraph for each technique. This could be fleshed out a little more I think, with more of the reasons he selects these methods and how to achieve them start to finish. The first of the two main builds are next. 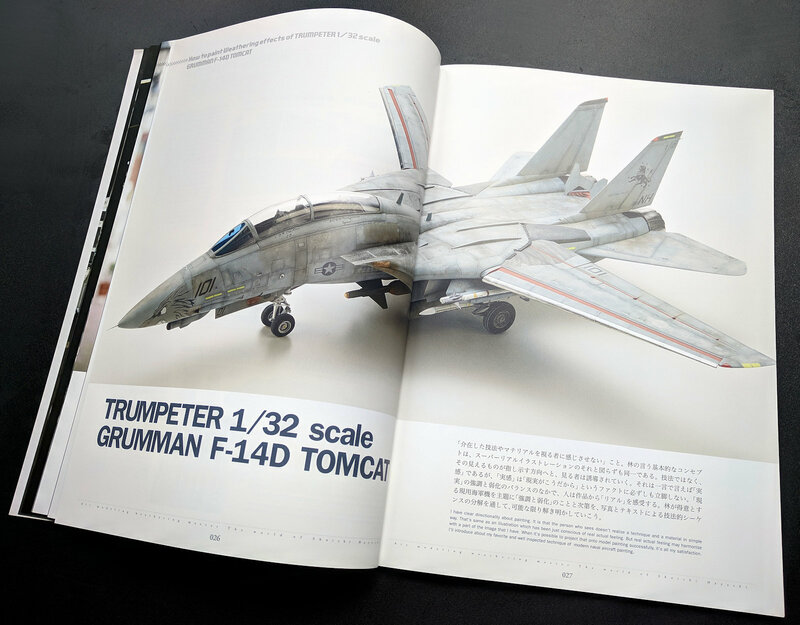 These two kits share most of the pages of the book, this, the Trumpeter 32nd scale F-14A Tomcat build, paint and weather takes thirty-eight pages of the title. 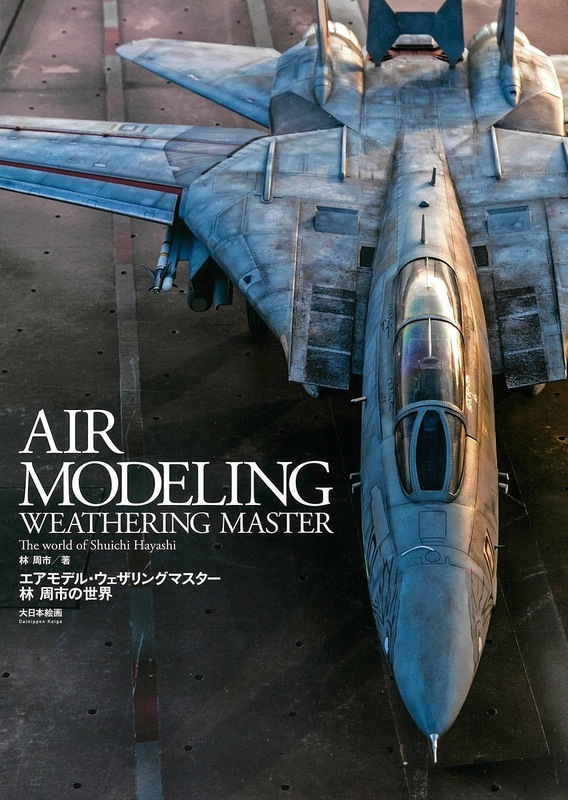 At the start of this article, we see several pages in a walk around of the completed model with the background of the waters around Japan that make this look like the real thing in the background. This is one of the most impressive models I have seen in the flesh in this scale. The detail of the weathering doesn't start straight away. 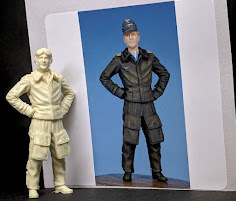 Although he likes the building a little less we do get to see the build of the kit in a limited scale over a page or so with some re-scribing here and the adding or enhancing of the thin details of the kit there. The pre-painting starts in earnest with pre-shading on all of the flying surfaces, the fuselage and other areas that will experience the heavier weathering. The importance of starting off the kit showing the larger variances in colours is planned at this point. The first shades of grey are seen here with the why and where he paints each shade explained. Shuichi talks us through the use of enamels and the stripping of this with cotton buds, also the replication of the water that lashes the vehicle and the repair and repainting of the panels, replicated by using masking sol (a trick that I have since adopted) are in this part of the guide. We also look at the different textures of the landing gear and the rough non-slip surfaces in the air intakes in this part of the book. Using salt to mask and then paint the outside surfaces of the fighter are discussed here, with a guide with many paragraphs and pictures over a few pages, this develops into smaller scuffs and scratches and their replication, the fuel and oil stains and engine grime as long as the stains around the power operated flying surfaces. Winging up the build, we are looking at the finishing touches in the next few and final pages. The stores of this Tomcat, the bombs, missiles and pylons of the aircraft along with some weathered fuel tanks are shown in progress. This is a good way to finish off the kit in a naturally satisfying way for the reader as it is the last thing put in an aircraft (except the pilot of course). 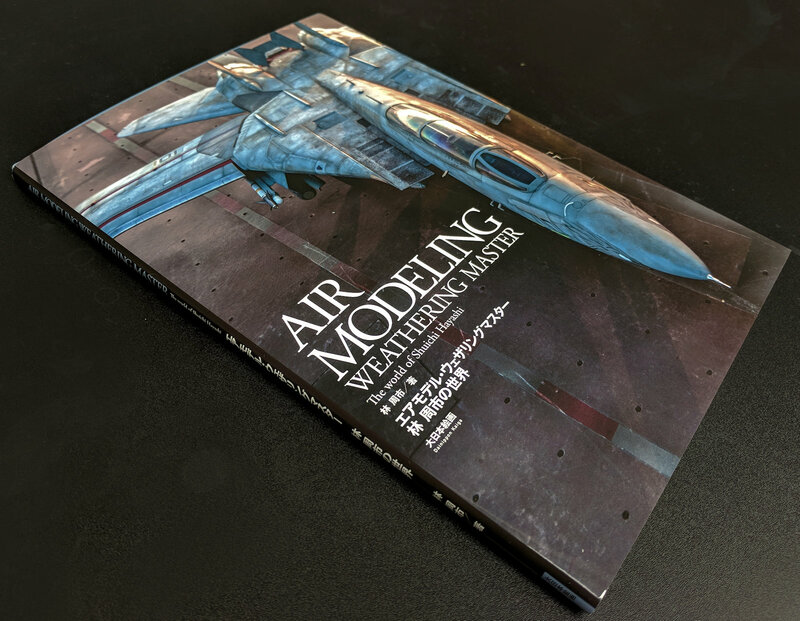 At the end of this article are again some final pictures of the completed kit and thoughts from Shuichi of the feeling and the look of his finished model. The pictures are so very clear and this illustrates his skill in minute detail, leaving you all the more impressed by his work and the end product. Every little detail, every bit of grease, grime and wear is seen in the photos and the emotion of the modeller is compelled through his raw thoughts int he text. 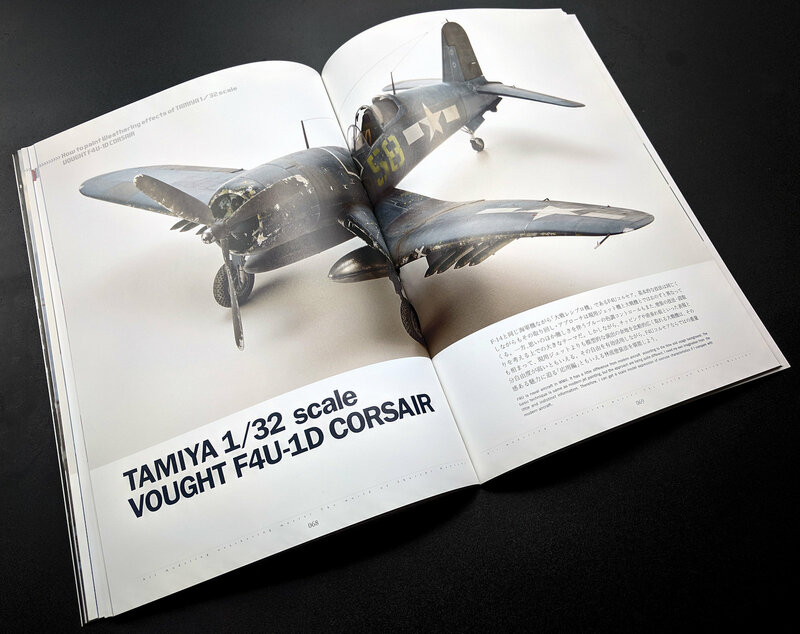 The second star of the book is next in the shape of the Tamiya 32nd scale F4U-1D Corsair. 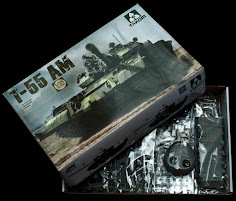 This build takes up thirty-two pages of the book, and starts off with the gallery of the completed kit "in-theatre" with the model sat on top of some PSP matting in the same scale. 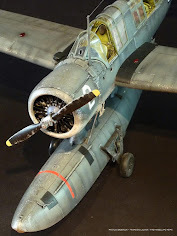 The decision to include this, a much darker model and an aircraft of a propeller driven era is a good choice, as the contrast in weathering and eras is readily apparent. The shading of a darker aircraft is a lot different to a lighter airframe. A great (and dare I say popular) choice. 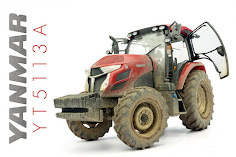 Again we see just a little on the construction of the kit. 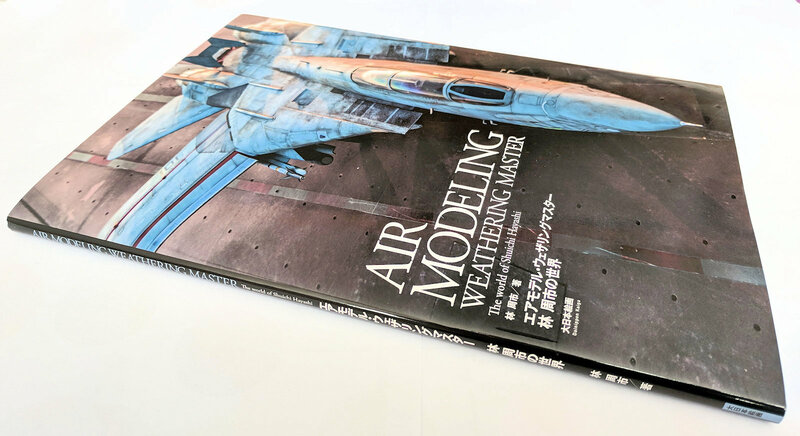 Shuichi is most interested in the painting and weathering, and as you can expect on a book subtitled "Weathering Master" you get what it says on the front. The only real construction work here is the extra detailing parts in the cockpit and the engines. We are shown how these are painted, as well as wiring and exhaust flourishes already into the mix. We see a smart set of painting instructions next. 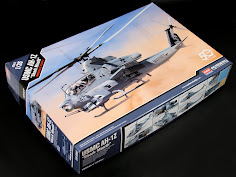 Using Mr Color, the aircraft surfaces are painted white, then the panel lines pre-shaded, then the gloss sea blue, and lastly some white enamel is smeared over, with the majority of it wiped from the model. 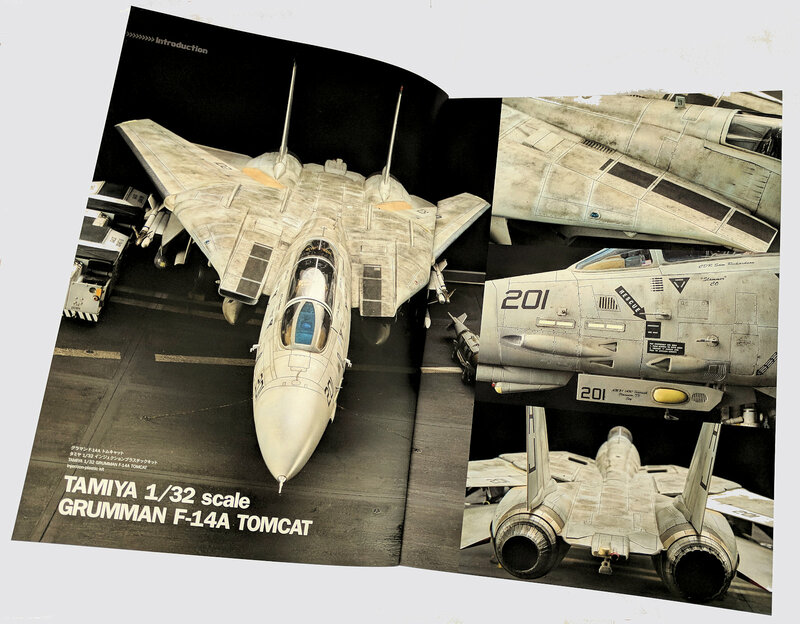 This leaves the aircraft's seams highlighted in a lighter colour this time (as the tomcat was dark ON light) and it sure does nicely highlight the panels, rivets and even the skinned areas of the aircraft in a way that leaves the surface looking faded randomly and naturally. Corsairs in action have large stains around the engines and a lot of wear on the wings, and this is shown over the next several pages in several steps noted with small paragraphs of text. 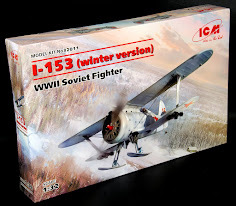 The use of masks to create the stars and bars and the aircraft numbers are shown, as is the heavy shipping around the nose through salt chips, the drop tanks are painted and weathered, and lastly, the finishing touches of weathering are shown. Again to finish off we have some amazing shots of the kit, in focus, from close up and in a whole walk around of the kit. 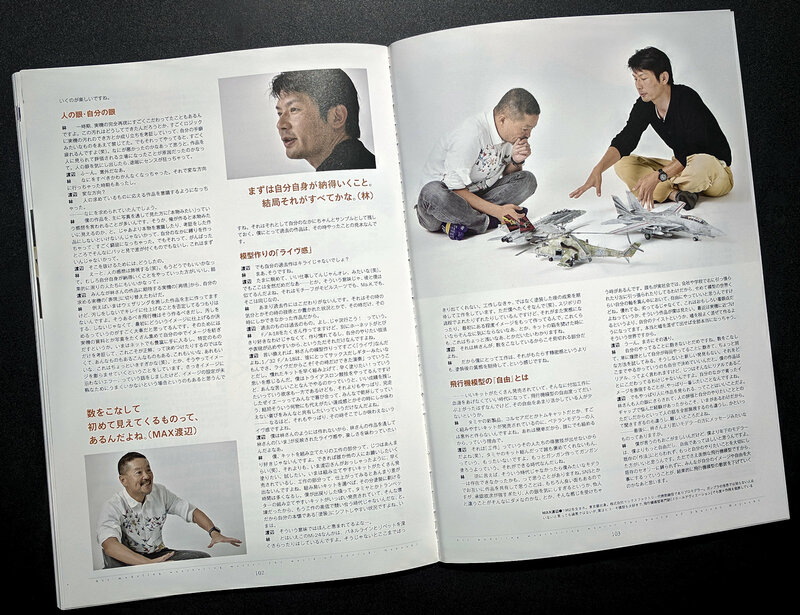 As a bit of a finishing bonus (pretty much the focus of the whole book 😁) there is a Japanese only discussion between the author and Max Watanabe from "Good Smile" and "Max Factory" companies and his own modelling fame. This is all in Japanese text, so I had to ask my Japanese speaking friend to give me a rundown of what was said here. 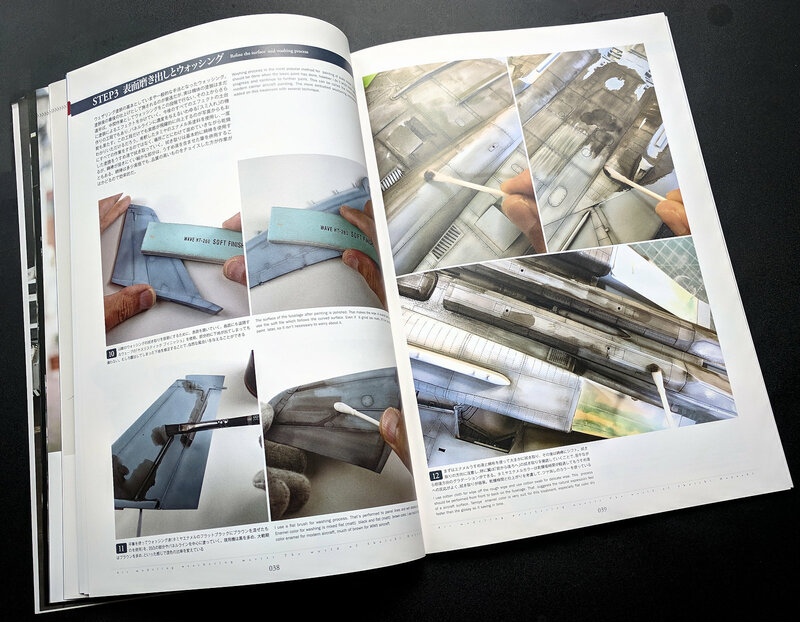 The general gist of these four pages is a session of general chat between Shuichi and Max about how long it takes to make the model, the ease of making kits just say from Tamiya, and going beyond the model and what you can do with them in weathering. A good way to sum up the book, if only I spoke Japanese huh? It was a bummer this bit was not translated, but it is only four pages. This is the book in total. 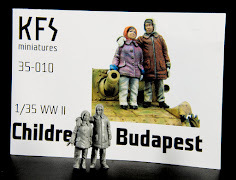 Some amazing models that are brilliantly displayed, painted, weathered and photographed. A little work on the English translation and this book would have been an even better proposition. 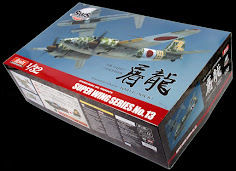 What does come through are the general ways that these aircraft are made so brilliantly by the author, and most of all the passion he has for these kits. 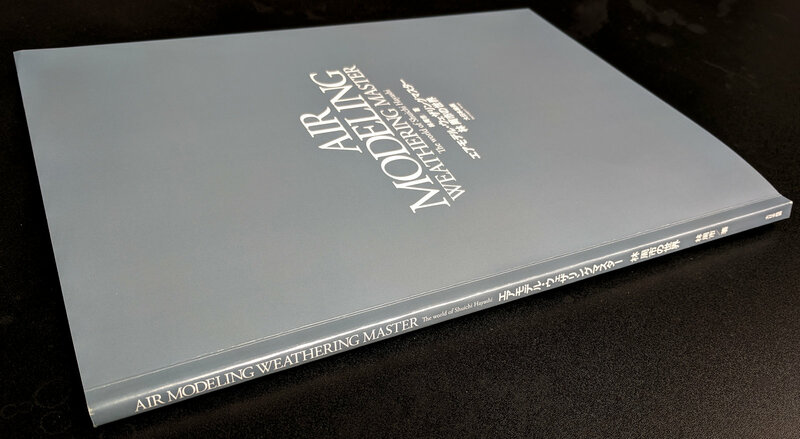 This is a special modeller and a very nice book that shows off his talents to the full. If you like what you see in these pictures this book is a must.